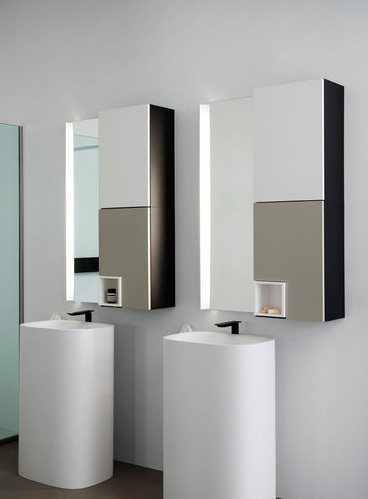 The Agape line of bathing products is built on 30 years of passion for sleek, fashionable, timeless style. With the innate elegance of renowned designers seeking to simplify and elevate washing rituals, Agape succeeds in offering jewels for the bath. Every piece of this beautiful bathroom designs shares a fresh take and a new idea that makes me wonder why I didn’t think of that. The Flat V wall storage unit opens easily with just a touch, of course. 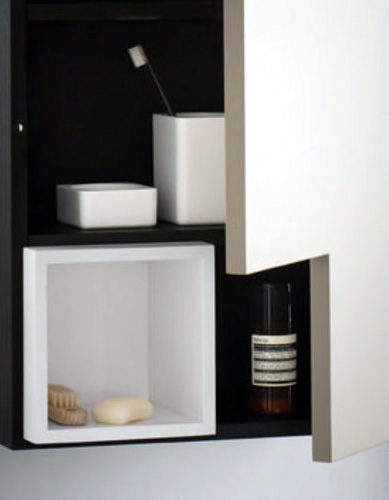 But that integral and accessible corner soap cubby is pure genius! Have space restrictions or just so over standard bath sink cabinets? 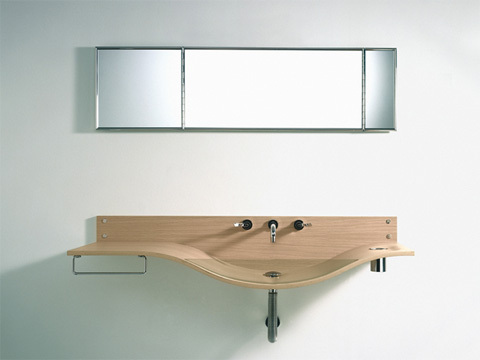 Try the compact Handwash basin with an optional side storage space. 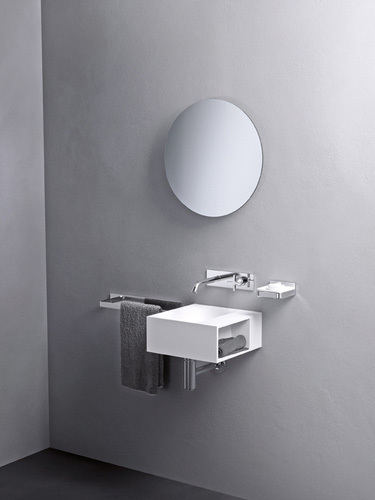 It is perfection for those who must have a sink (right?!) and find that less is best! 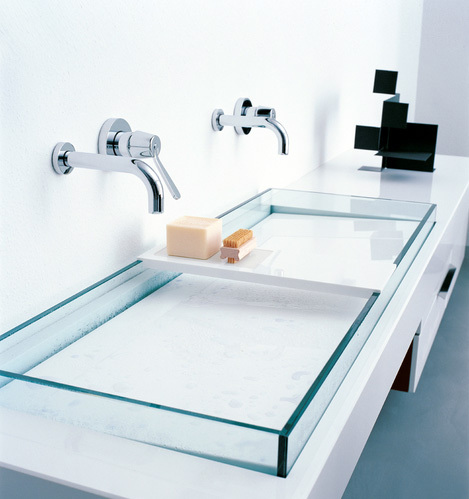 You also can’t go wrong with a plate glass sink from the Flat XL series and add a sliding tray for your soaps. 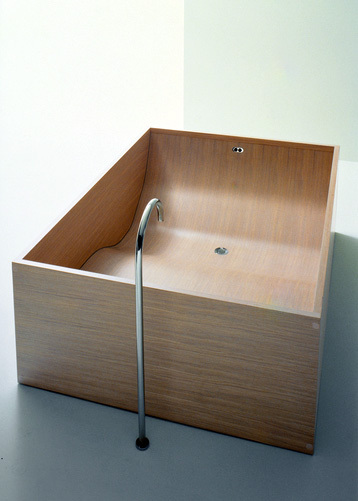 In Gabbiano, you’ll find an undulating oak plywood basin that I’m certain none of your friends have! 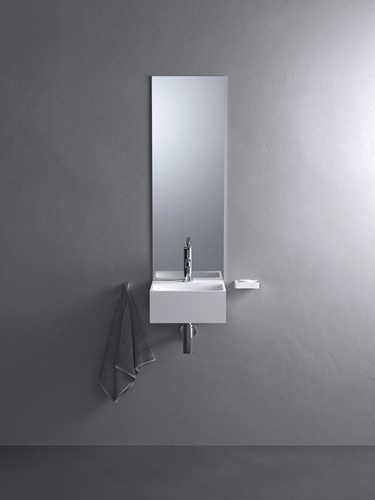 Plate glass dams the water and your hand towel stays neatly near on its stainless steel bar. 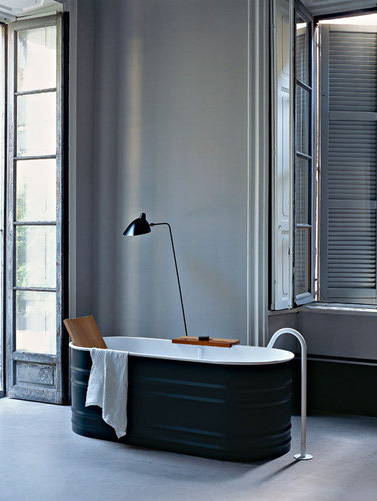 You’ll want to indulge in the matching contoured Woodline bath tub. 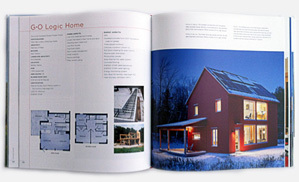 Its curvaceous interior wraps around you like a luxurious chaise. 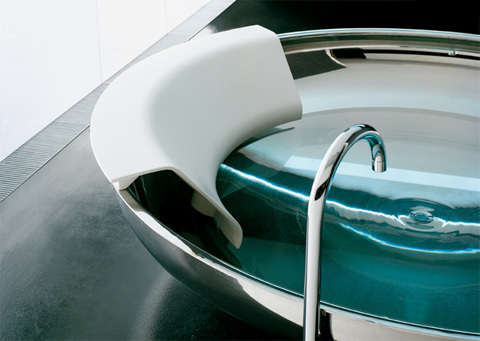 I dare you not to covet the Ufo bath in its more than six circular feet of comfort, stainless or enamel, your choice. 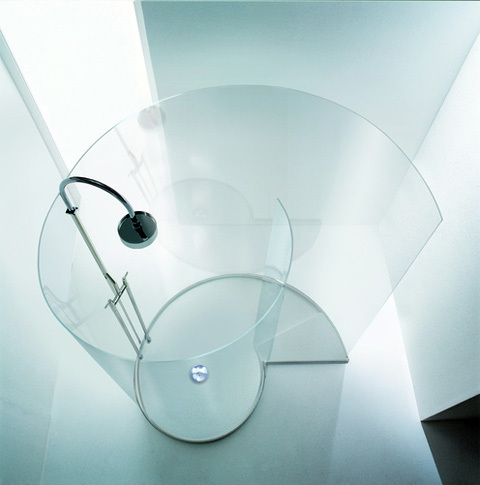 If you’re in a hurry the Chiocciola (translation: spiral) – a nautilus inspired shower may be more your style. Good luck choosing!